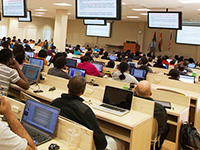 The American University of Antigua, College of Medicine (AUA) is offering a wide range of medical courses. AUA is situated in The Caribbean and is located in Antigua and Barbuda. AUA is an ideal choice for the medical aspirants, among all the Top Medical Universities in The Caribbean Islands; as it envisions them towards the health care needs locally and globally. 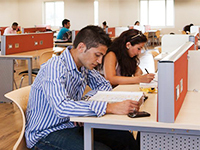 The university was officially established in the year 2004 and since then they have built up many schools. It is also approved and recognized by the Medical Council of India (MCI) and the Caribbean Accreditation Authority for Education in Medicine and other Health Professions (CAAM-HP). AUA provides a world-class Medical Education (MD) in the Caribbean Islands to the enrolled students with all facilities throughout their academic journey till graduation. The students are also offered a platform to practice and research. The University has a strong handhold in developing good relations with approximately 40 Hospitals of U.S. and Canada, which increases the opportunities for its students in Clinical Rotations. 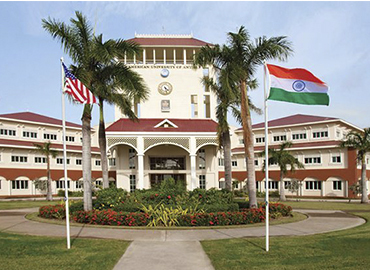 AUA provides a distinguished selection of housing choices for all its international and domestic students. The house is provided with basic requirements including television, air-conditioning and kitchen with various appliances for the facility of the students, according to the requirement. The student experiences a versatile life in AUA. They are provided with many opportunities to grow their skills for their personality development. Students can explore many places/ things in Antigua like beaches, historical spots, bird watching, golf, and surfing. Antigua is an ideal destination to pursue MBBS. Students can also get involved in various sports activities to stay fit. 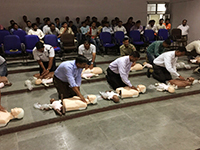 AUA also organizes medical training and camps to develop their students professionally. St. John’s, the capital of Antigua and Barbuda is situated in the West Indies, Caribbean Sea. Antigua and Barbuda are believed to be the commercial centre of the nation. St. John’s has been the governing centre of Antigua and Barbuda since the islands were first established in 1632 A.D. The main economic sectors of St. John’s are Agriculture & Tourism. Also, major world financial institutions have their offices in St. John’s. Hence, the investment banking industry has a significant presence in the city. The climate in Saint John’s is cold & moderate. The city also experiences a vital amount of rainfall during the year. Major attractions of St. John’s are the Museum of Antigua and Barbuda, Heritage Quay, Fort James, St. John’s Cathedral, Fort Barrington, Fort James Beach, etc. St. John’s transport systems consist of both public & privately run services. St. John excels in seafood. Some famous cuisines in the city that is equally appreciated by locals & tourists are Cod tongues, Scrunchions, Bakeapple, Touton, etc. There are some good Indian restaurants in St. John’s like- Spices of India, Masala Restaurant, Spices Of India and New Taste Of India. These are some delightful surprises for International students.